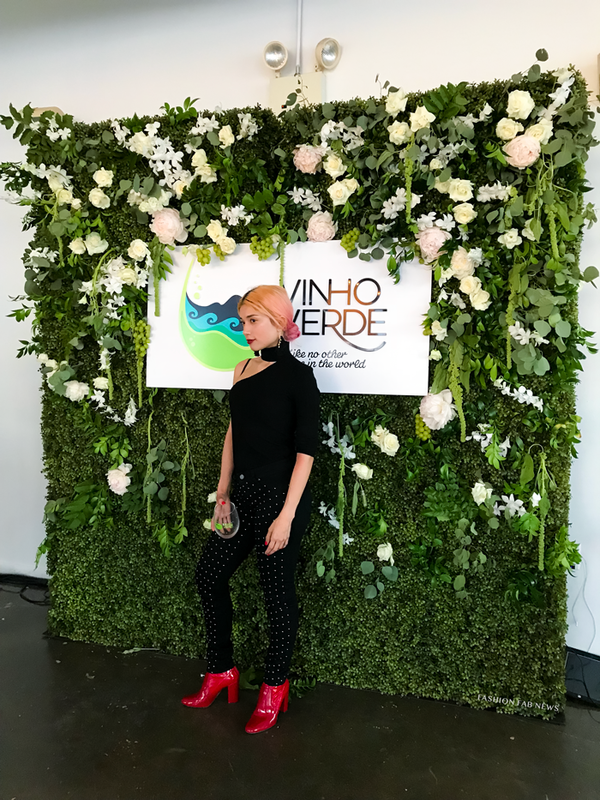 Vinho Verde Experience NYC | Fashion Fab News - fashion, beauty, celebrities, designers . I always enjoy going to events and dressing up for photos. 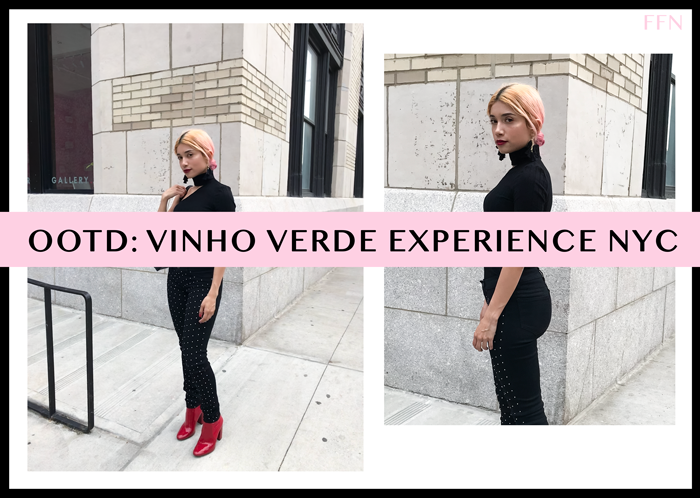 This time, Muses and inHouse Productions invited me to the Vinho Verde Wine Experience. The Vinho Verde Wine Experience is one of the most anticipated parties on the summer social calendar!. 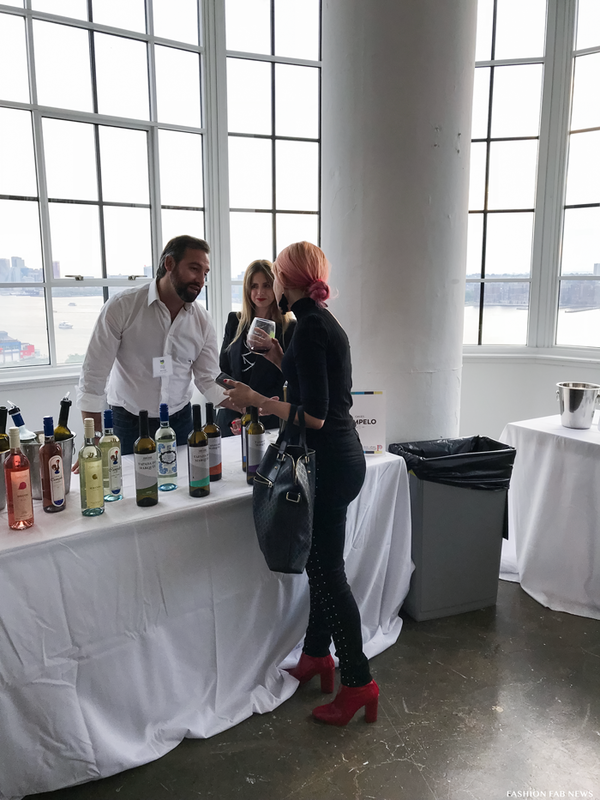 They have ever-flowing Vinho Verde wine and food bites from some of NYC’s hottest restaurants, in addition, to live music, a live art installation, and a flower garden photo booth. I'm gonna be honest with you, I don't really drink alcohol but if it's a special event like a wedding or a celebration with friends and everyone is drinking, I would only drink wine. It was really fun trying different wines from different parts of the world and having a good time with my best friend who was my +1 and also appreciating the great view. 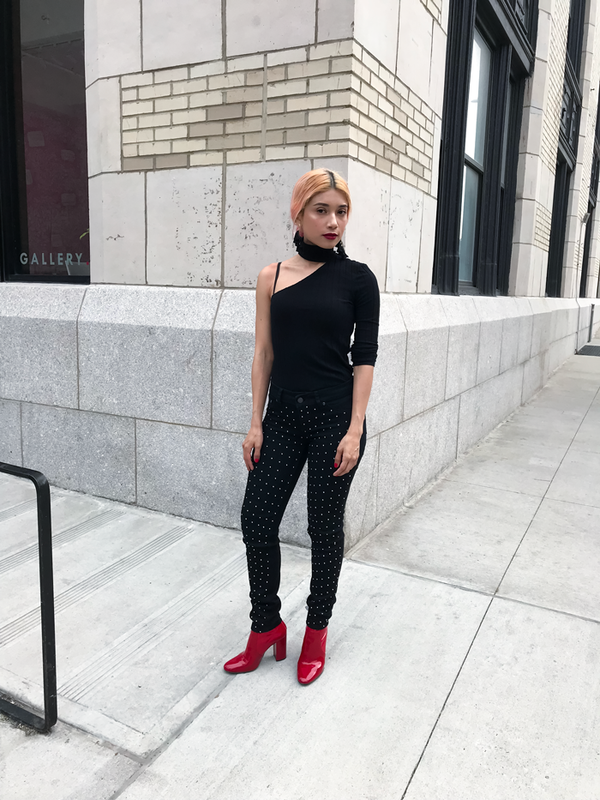 For my ''Outfit of The Day'', I'm wearing a high- neck one shoulder black top with a pair of studded black jeans and paired them with my cool vinyl red booties. All the information about these pieces is bellow, so keep scrolling down and leave a comment letting me know if you are a wine lover or not. 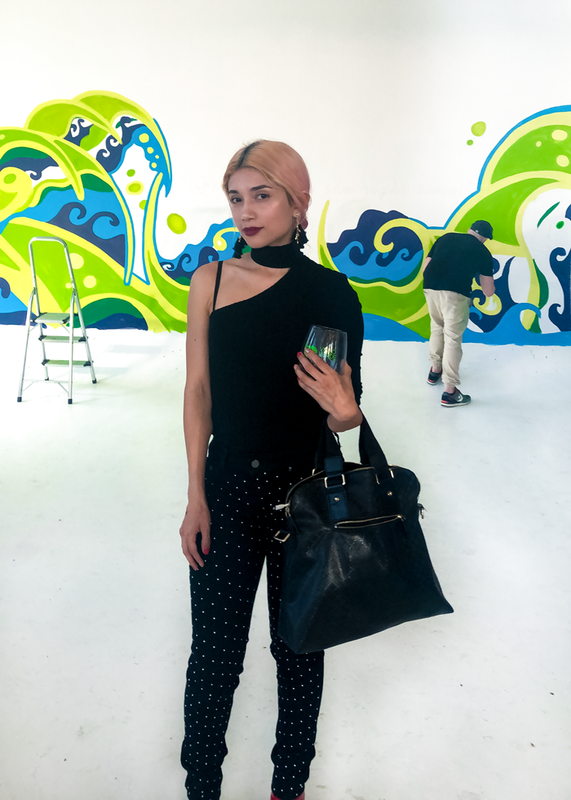 The two main pieces that I wanted people to see from my look were my shiny boots and my tassel earrings. 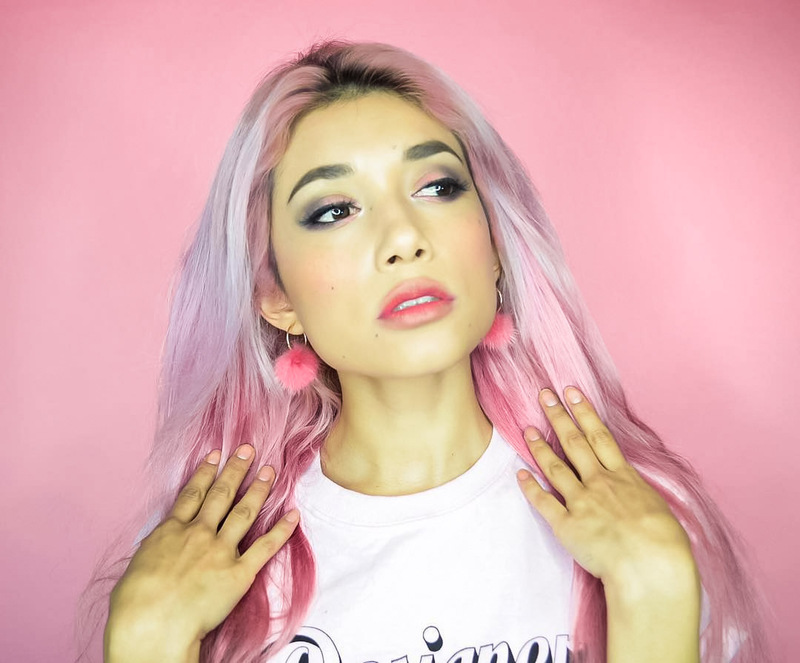 Wearing all black helped to bring attention to the red vinyl shoes and having an up-do hairstyle ( I always have my hair down) gave me the option to show the details of my nice earrings better. 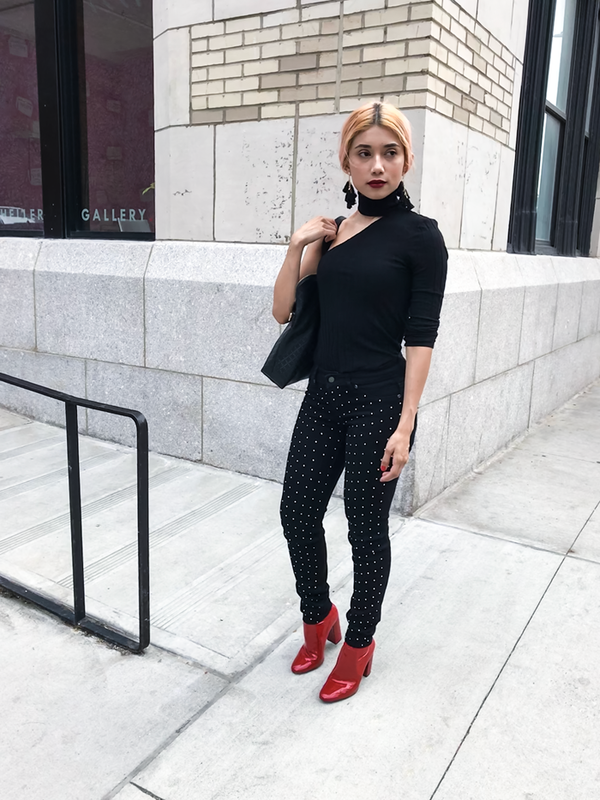 I like the contrast of silhouettes and the design of my top which balanced my all black outfit by having a section that showed some skin.